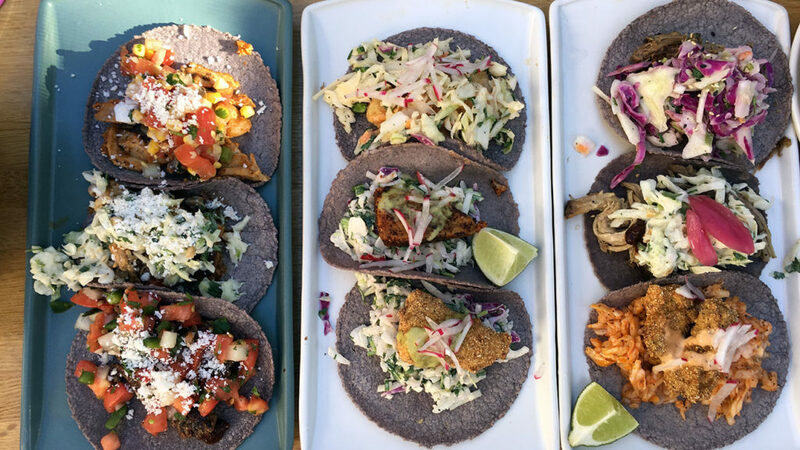 Blame the taproom. Well, blame what’s left of the former taproom; a wall separating it from the brewhouse area is coming down, and rows of fermenters will soon live where patrons once sat and sipped. 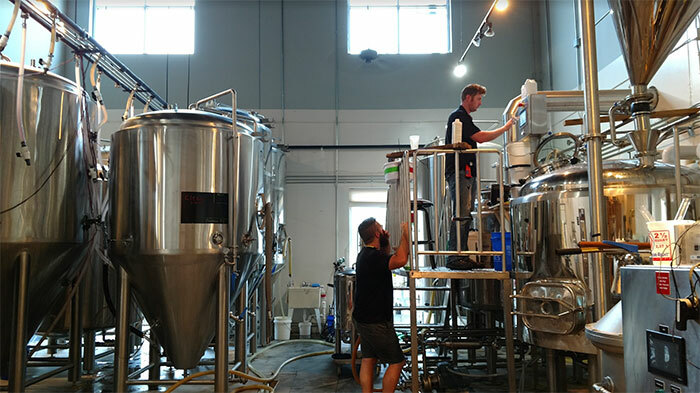 For starters, the taproom has already found a new home, relocated to the far right of the building and allowing the brewery to connect the two formerly bisected production areas. 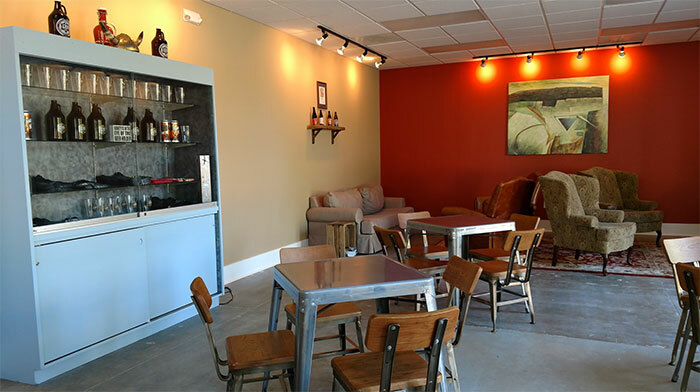 This brand new taproom boasts commanding corner placement, replete with increased visibility courtesy of two walls of glass and a prominently-featured centralized bar area, plus a modernized electronic offer board powered by Untappd. Sizewise, the 2,100-square-foot space is a noticeable step up from the previous 1,700. 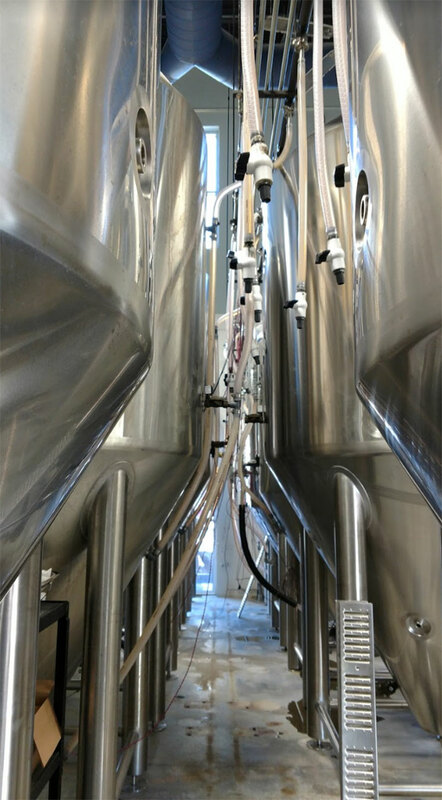 A soft opening period is currently underway; in fact, much of this piece is being written from the comforts of the new D9 taproom (they open at 2 p.m., and it’s certainly more fun than a Starbucks). It’s lacking just a few finishing touches, giving even early adopters much to look forward to ahead a joint Grand-Reopening/Hallowversary party on October 29. 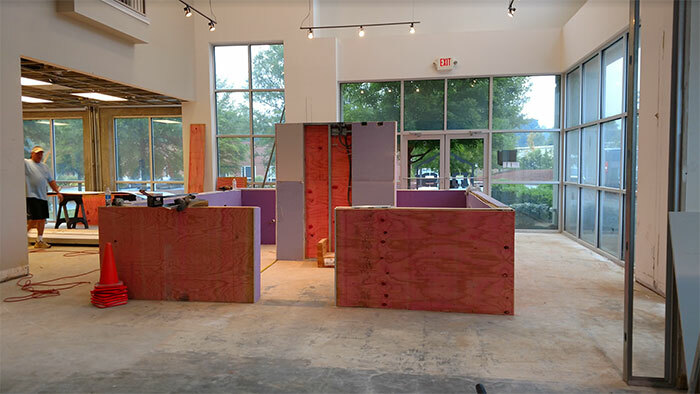 Currently, 10 taps have central placement on a small walk-in cooler the new bar area wraps around, but 5 additional taps are about to be added to either side, enabling ease of service in addition to more beverage offerings. Thanks to a set of glassed doors at the rear of the taproom, visitors will still be able to see brewers hard at work, but don’t expect the same front-row seat you once enjoyed. Still, the vaulted ceilings allow for sound to travel, reminding you that a production brewery is very much close-by. Fortunately, the old bar is far from gone forever. Those with a keen eye may recognize the reclaimed wood repurposed in the new space as accent columns. That said, the transition between former taproom and future production space is well underway. So now that this bottleneck is being removed (pun apologies), what’s in store for D9? First off, start looking forward to “Defying Gravity,” a higher-ABV series of sour ales. While we’re talking high-octane offerings, fan favorite “Witless” will make its bottle debut. A new all-brett series of beers will also come in 2017. The brewery will also be expanding its packaged beer lineup to include cans. The tangerine IPA Swell Rider is first to get the updated treatment, with others to follow. The new format will complement, not replace, the brewery’s bottling operation. 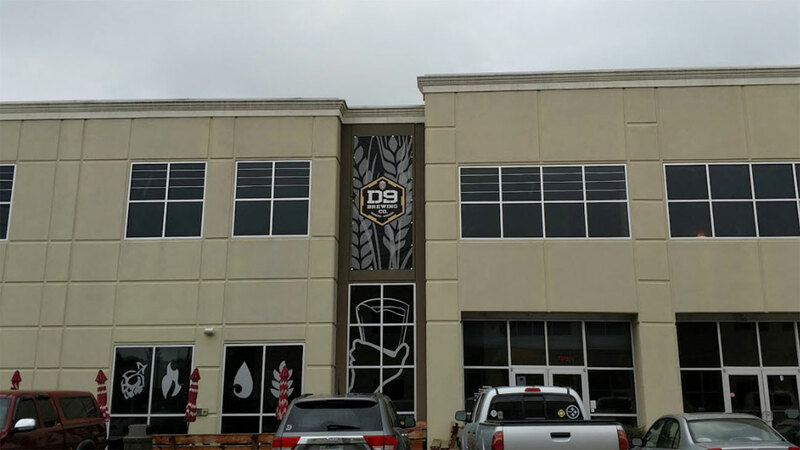 D9 Brewing is fresh off a gold medal win at this year’s Great American Beer festival. Between that and an upgraded taproom, they’ll have much to celebrate as they enter their third year.